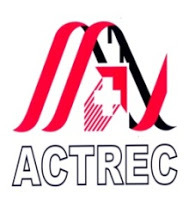 ACTREC Jobs Recruitment Notification 2019.Tata Memorial Centre Advanced Centre for Treatment, Research and Education in Cancer (ACTREC) inviting applications for the positions of Nurse.Interested and Eligible candidates can apply for the positions. Last Date for Submission of Application is on April 30th, 2019. Selected candidates will get As Per Rules from the organization.